Legumes are an essential food crop and a relevant source of plant-based proteins for humans around the globe, and particularly in developing countries. Grain legumes are highly nutritious and have excellent nutraceutical properties; these are affordable foods contributing to household food safety and, as a result, offer great hope and opportunity for achieving future global feed and food security. There is no doubt that facing an increasing world population over the next 50 years, the implementation of future research strategies and programs on legume productivity by harnessing scientific expertise and emerging molecular tools is of great importance to develop high-yielding legume varieties with enhanced multiple beneficial qualities and to tackle human diseases, using both traditional breeding and biotechnology methods. Grain legumes enhance the sustainability of cropping systems by increasing soil fertility through biological nitrogen fixation. They are adapted to diverse climates, thus providing solutions to climate change. Improved varieties having heat and drought tolerance are able to overcome abiotic stresses, offering even more hope for crop stability in vulnerable regions as well as against pests and diseases that cause significant production losses, making them a central component of sustainable intensification efforts on millions of small and poor farms. This new book provides an innovative contribution for people working with legumes in different fields such as agriculture, crop improvement, health promoting aspects, fighting pests and disease, as well as the overall scientific community. 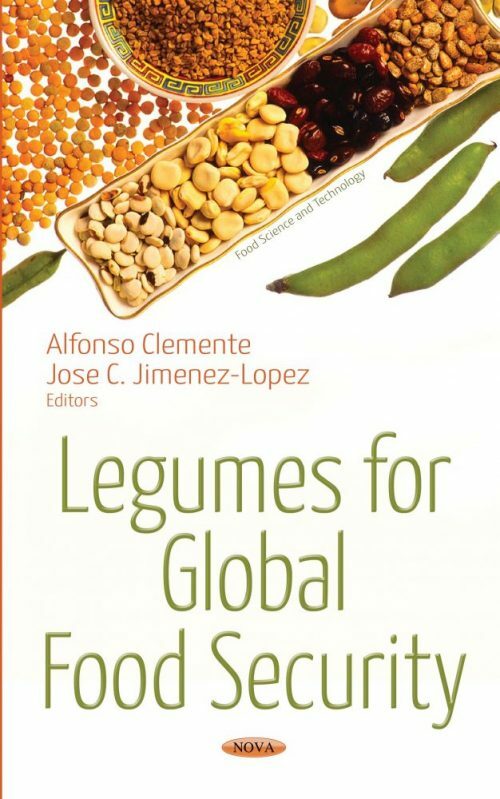 It provides an updated vision of the importance of legumes in meeting the world’s greatest challenges in global feed and food production within a future sustainable agriculture. • Increasing legume production to improve food security, nutrition food safe, environmental benefits and economy. • Legumes and climate change. • Pests and disease management. • Nutritional improvement of legumes.